Working out can sometimes feel like a chore. And bad weather, or having to go to the gym every day can stall your best intentions. But there is a way to make exercise more fun and convenient without having to leave your home – a treadmill. Treadmills are one of the most popular types of cardio machines for home use. 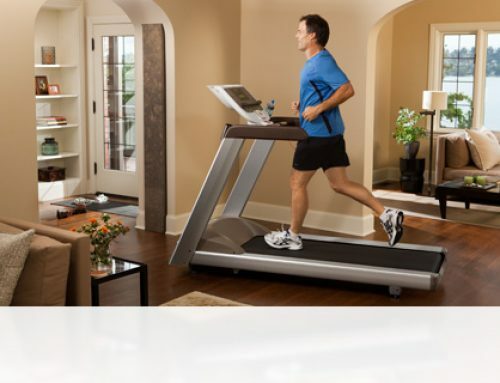 A treadmill allows you to have a great cardiovascular workout from the comfort of your home. 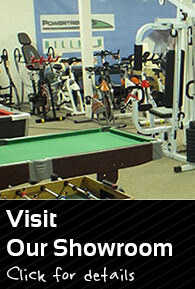 However, it is important that you choose an equipment that fits your fitness goals, budget, and lifestyle. The treadmill should also ensure maximum efficiency while maintaining comfort. If you’re looking for a high-quality all-around treadmill, the Reebok Jet 100 is a great option regardless of your fitness level. The Jet 100, which is part of the Reebok Jet series, is a great treadmill that offers the best workout experience money can buy. It is affordable, well-designed and has an impressive number of features that give it an edge over other treadmills in its price range. This review provides an overview of the Reebok Jet 100, including its features, pros, and cons. The Reebok Jet 100 treadmill is made of a steel base frame coated with a corrosion resistant powder coating. Other parts of the treadmill such as the front lateral base, side foot rails, and the console board are made of strong and durable materials. 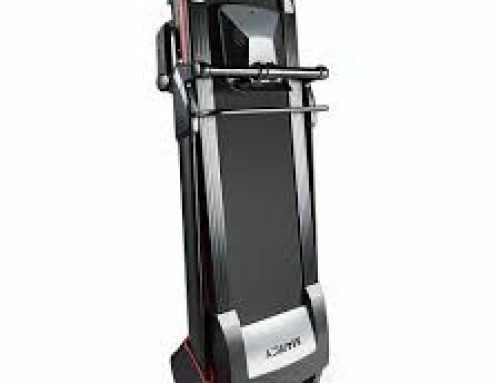 Overall the fitness machine has a sturdy construction and can support users up to 242lb (109 kg). The treadmill features a belt deck that measures 130 by 43cm. This surface is considerably small when compared to other treadmills in its class. While this deck area is great for both runners and walkers, it is not ideal for taller people. The running deck is designed with Reebok’s air motion technology which features cushioning air pods. These pods transfer air to adapt to the user’s foot strike ensuring a soft landing and minimizing overuse injuries. The technology also helps to reduce joint impact allowing you to work out for longer. Like most home treadmills, the Jet 100 comes with built-in transport wheels to help with manoeuvrability and can be folded to up to save space. With the hydraulic folding mechanism, you can fold, lift the base and store the machine easily without any hassle. When folded, the treadmill measures 44 inches (L) by 5 inches (W) by 58 inches (H). When unfolded, it measures 67 inches(W) by 5 inches (W) by 55 inches (H) and weighs about 168 pounds. The Jet 100 is powered by a 2HP drive motor which provides excellent performance and can withstand prolonged workouts. The motor operates smoothly and quietly and can reach speeds of 16 kph across 12 levels of incline. The clear LED console display measures 64 mm by 32 mm (3.5-inch diagonal) and is easy to operate while exercising. 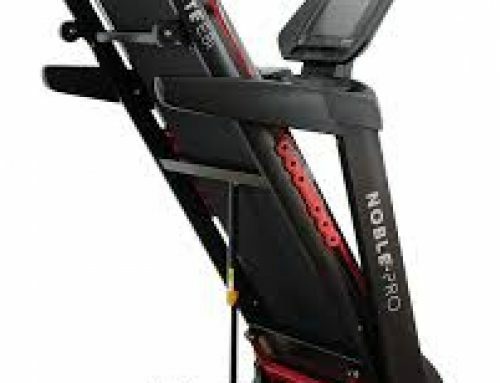 It has 24 pre-set programs and12 levels of incline for incline training, uphill running, or walking. The console also displays workout data such as pulse, heart rate, calories, time, speed and distance so you can get the most from your workout. The soft touch handlebars with incline buttons and incremental speed offer intuitive functionality. You can easily select the preferred speed through the incremental buttons on the LED display or at the speed keys to gradually take you straight to the speed you want to run at. This machine has an integrated adjustable cooling fan to keep you cool and comfortable during your workout sessions. The MP 3 compatible media hub features a USB port and has integrated speakers allowing you to workout to your favourite soundtracks. The treadmill’s console also has other accessories that’ll help make your workout more enjoyable. These include a tablet shelf, a smartphone holder and two water bottle holders – one on each side of the console’s dashboard. The Reebok Jet 100 is a great treadmill for those looking to workout at home. It is affordable, sturdy and has most basic features found in a home treadmill. Overall, the Jet 100 is an excellent machine for light to intense cardio workouts, stamina development, and weight loss.